Even a key hanger can be so decorative that guests can fall in love with! 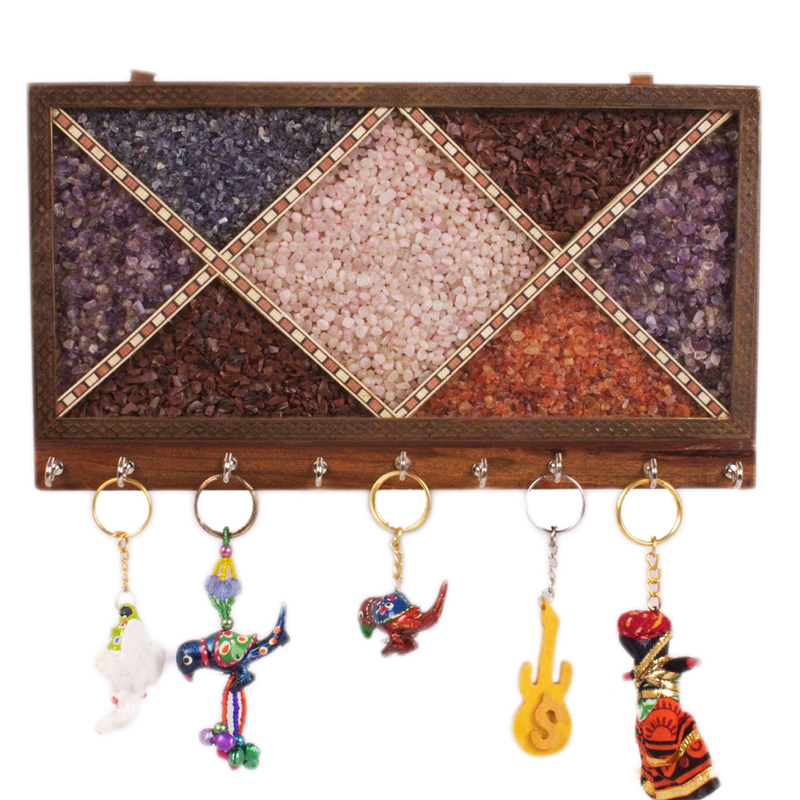 Yes, this key hanger made from wood & painted by Read More..gemstone is very minutely crafted & depicting the Rajasthani art form with sheer elegance & embroidering color combination. It has 9 hooks mounted on it. The thoughfully located key hooks are easily accessible & also because of it’s in line set up & multicolored décor, it looks graciously beautiful wherever you put it. 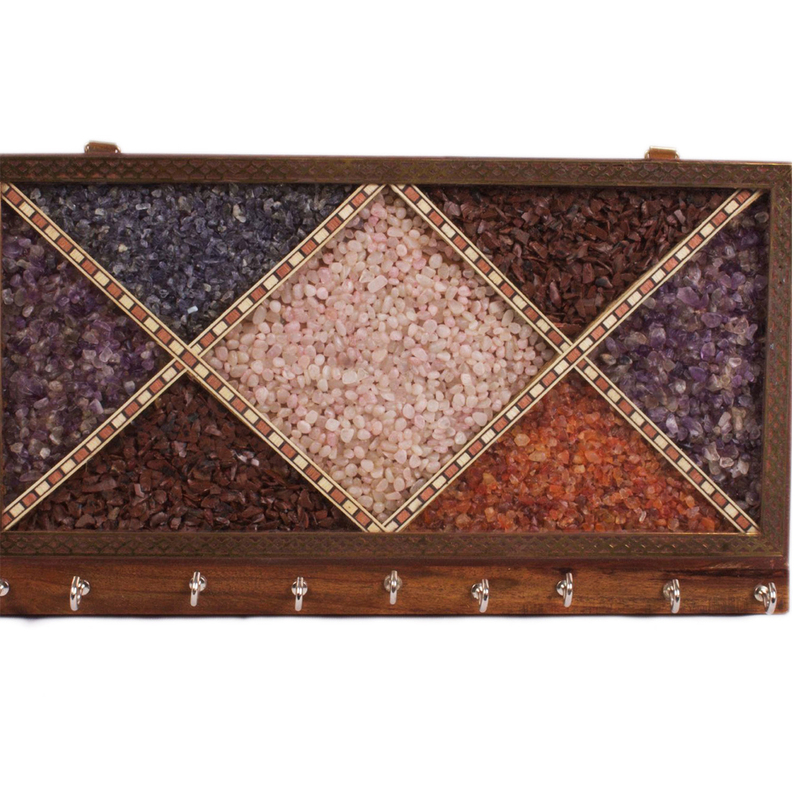 This handmade wooden product from the heart of Rajasthan can be another addition to your unique collection; just buy it from Boontoon! Show Less..